This was and still is my favorite bag. I used to bring this to work. It’s a versatile bag. It is also stylish even if it carries a lot of stuff. Sadly I’m no longer using it for I don’t go out a lot these days. The last time I used it was at the C-lium Lose More, Live More, The Final Journey Presscon. 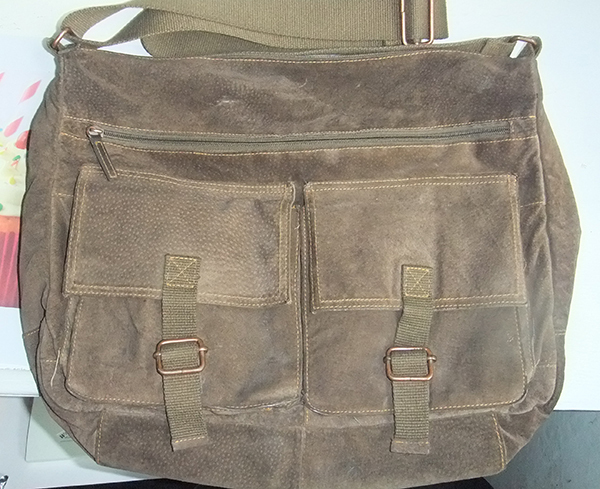 My friends said it may be an old-fashioned bag but it’s still good and stylish. The only bag I’m using now is the one that I purchased online. If you love bags or purses, you can check out wholesale purses from here and tell me what you think about their beautiful line of bags and purses. This entry was posted in Bags and Accessories and tagged favorite bag, messenger bag, suede bag on March 6, 2014 by Mommy Yam.